Dry-cured duck saucisson sec, ready-to-eat, shelf-stable and handmade naturally without nitrates, nitrites or preservatives. 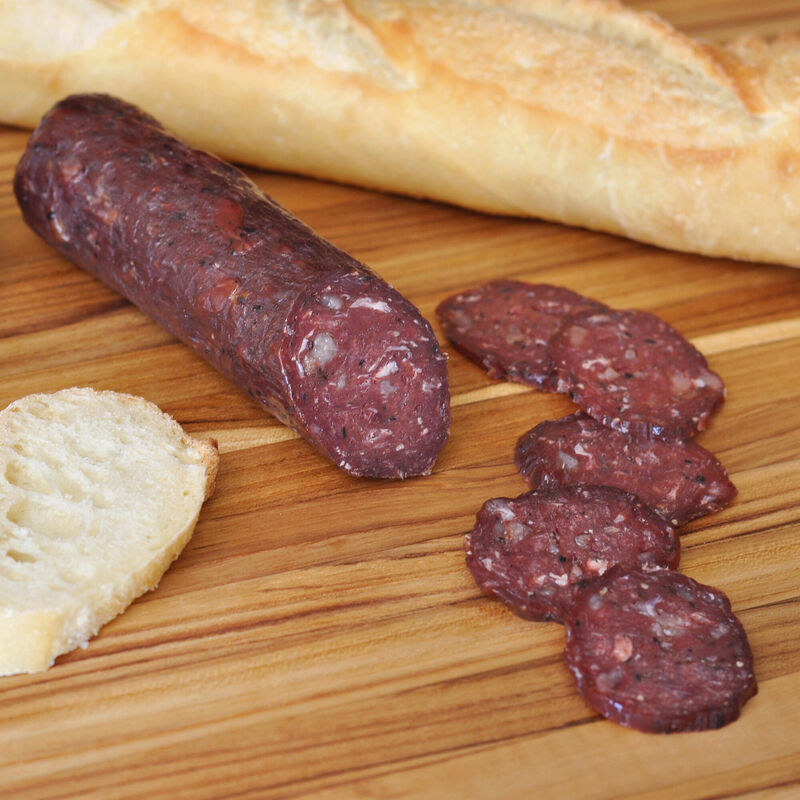 With its meaty texture and delightful flavor, this cured sausage is a must for any charcuterie board and makes for a delicious snack on its own. Saucisson sec matches beautifully with other cured or smoked meats on a charcuterie board, and is wonderful with a selection of cheeses. But saucisson sec is not just for hors d’ouevre. It also adds flavor to salads, tartines, pastas and pizzas. It’s a perfect snack to have on hand any time of the year. Slice it thin at an angle with a chef’s knife.